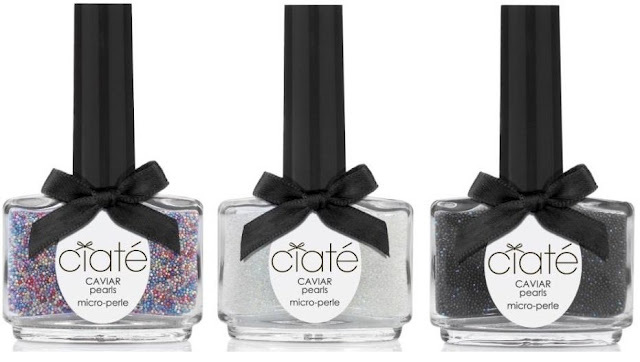 Ciaté always hits my soft spot, the bottle is too cute, the little ribbon, the font, I love it all. British sophistication for sure! 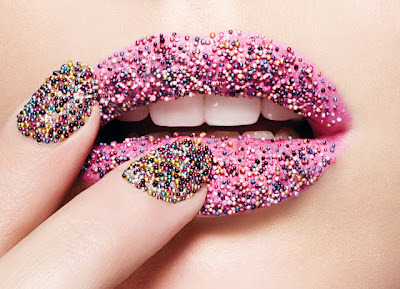 With everything going 3D nowadays, it was only a matter of time before nail art caught up. Ciaté are spearheading what we predict will be the next big beauty trend - the caviar manicure! 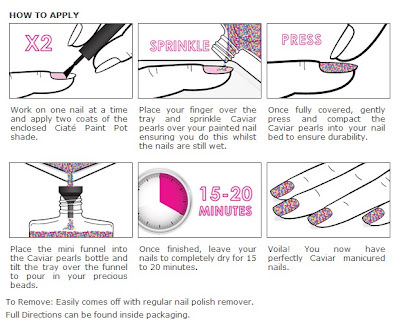 Caviar-like pearls are applied over any wet nail polish to create this gorgeous 3D manicure. The pearls come in black, white and rainbow. It looks gorgeous and elegant, I love the one in rainbow. Looks fun and sweet. However of course it’s not practical at all, It is an elegant and luxurious-looking 3D manicure, it’s quite fun too. Even if its only for one evening.